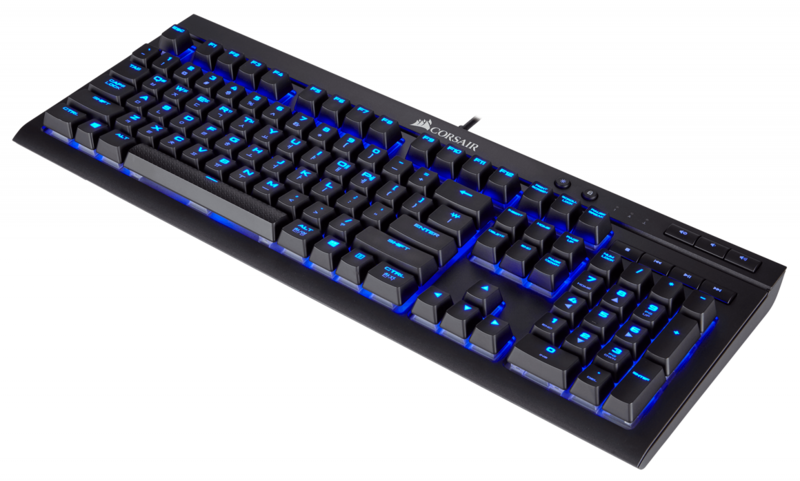 The CORSAIR K68 mechanical keyboard features 100% CHERRY MX Blue keyswitches with dynamic backlighting and dust and spill resistance (up to IP32) to enable a high performance gaming experience. The CORSAIR K68 mechanical keyboard features 100% CHERRY MX Blue keyswitches with dynamic backlighting and dust and spill resistance to enable a high performance gaming experience. 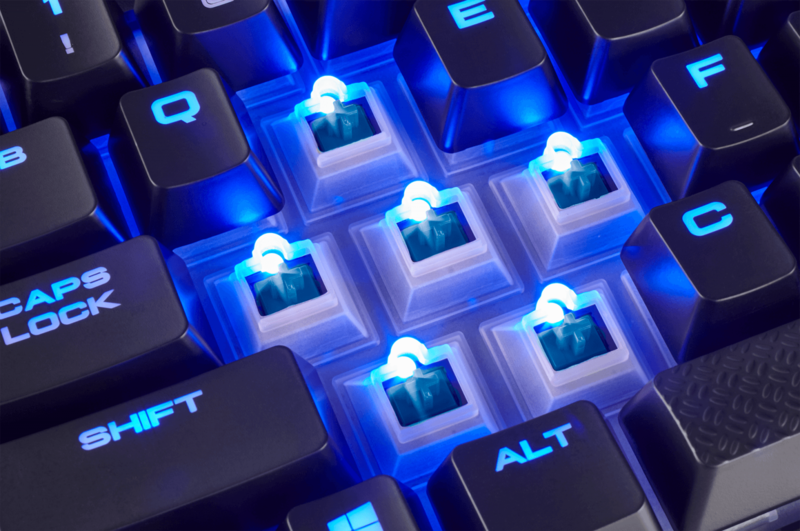 Gold contact CHERRY MX Blue mechanical gaming keyswitches deliver the ultimate performance and competitive advantage. 100% anti-ghosting with full key rollover ensures your commands and simultaneous keystrokes always register the way you intended. Brilliant BLUE backlighting paired with the powerful CORSAIR Utility Engine (CUE) enables sophisticated macro programming and dynamic lighting effects.